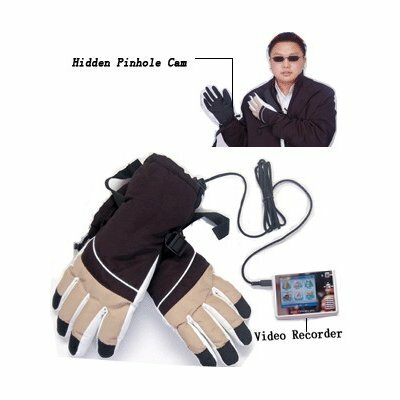 Successfully Added Gloves Hidden Camera With 512MB Flash Mp4 Recorder to your Shopping Cart. The new type of Gloves Camera with Mp4 Recorder is very ingenious and practical! You can put anywhere place as fixed device for hidden surveillance (Office, Bedroom, in the car etc.) Also you can draw on Gloves for hidden recording so you will not miss any action. This amazing device is ideal for covert or operations. It is also great as a surveillance camera, a Law enforcement agencies, as toy for hobby enthusiasts and so on.